Newly-introduced, subadult specimens displaying pale colouration. jaintianensis: named for the Jaintia Hills district from where the type series was collected. To date known only from the Jaintia Hills district, Meghalaya state, northeastern India meaning its natural waters are part of the Brahmaputra River system. The type locality is given as ‘Tre Rangriang, Jowai’ in the description paper, but we’ve been unable to locate this on any map. The paratypes were collected at ‘Thlu Muwi’, which probably refers to the ancient stone bridge built over the Muwi stream, a place popular with tourists due to the nearby Muwi waterfalls. Much of Meghalaya consists of forested hills which receive a great deal of rainfall and many of its high-elevation waters flow very swiftly, but this species is likely to be restricted to small, slower-moving hill streams with substrates of gravel/variably-sized rocks and well-developed marginal or over-hanging vegetation. Reports suggest 40 – 45 mm. An aquarium with base measurements of 80 ∗ 30 cm or equivalent is large enough to house a group. Temperature: Air temperatures in Meghalaya vary from sub-zero in winter to around 73.4°F/23°C in summer so it’s best kept in an unheated tank and tends to struggle if maintained above 77°F/25°C for extended periods. Both aeration and feeding should be increased during warmer months. Almost certain to prey chiefly on insects and their larvae in nature. In the aquarium it’s largely an unfussy feeder and will accept most foods. A good quality dried product or two can be used as the staple diet but this should be supplemented with regular meals of small live and frozen fare such as bloodworm, Daphnia, Artemia, etc., for the fish to show the best colouration and conditioning. This species is peaceful but its temperature requirements and rarity make it difficult to recommend for the general community. It’s best kept in a species display or alongside other small cyprinids that appreciate cooler conditions. Bottom-dwellers could include loaches from genera such as Lepidocephalichthys or Nemacheilus plus catfish such as Akysis, Hara or Erethistes spp. Freshwater gobies like Rhinogobius or Stiphodon spp. should also work as should many freshwater shrimp. 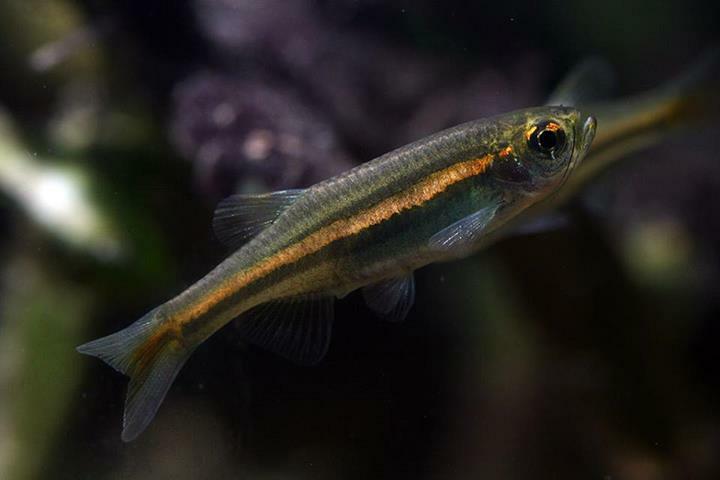 Suitable options from Meghalaya, though not necessarily occurring sympatrically, include Brachydanio rerio, Pethia shalynius, Lepidocephalichthys guntea and Acanthocobitis botia. We know of no reports as yet but like other danionins this species should be an egg-scattering spawner that exhibits no parental care. 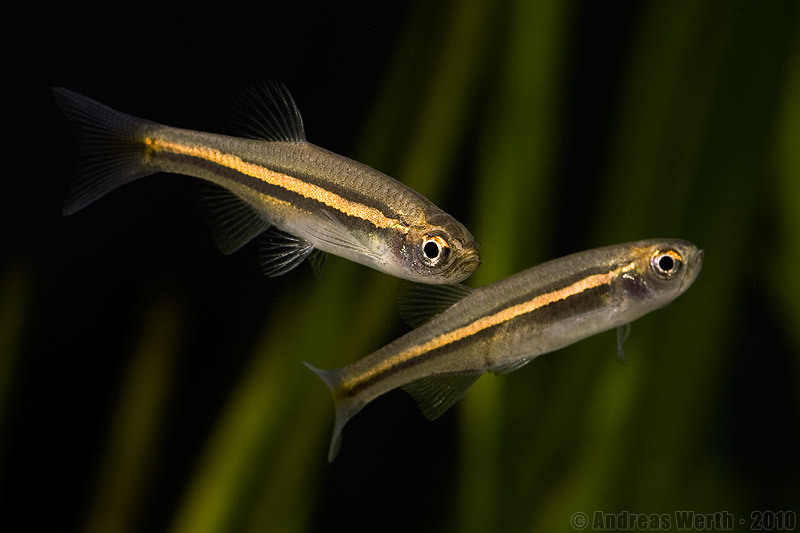 That’s to say when the fish are in good condition they’re likely to spawn often and in a densely-planted, mature aquarium it’s possible that small numbers of fry may start to appear without intervention. However if you want to increase the yield of fry a slightly more controlled approach is required, and the following method has proven successful for other members of the genus. The adult group can still be conditioned together but one or more separate containers should also be set up and half-filled with water. Initial food should be of an infusoria-type grade followed by Artemia nauplii, microworm or similar. 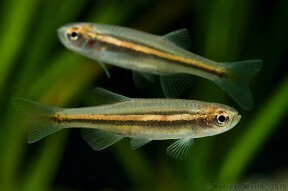 This species has occasionally been available in the aquarium trade since its discovery. Description of a new species of Brachydanio Weber and de Beaufort, 1916 (Pisces: Cypriniformes: Cyprinidae) from Meghalaya, north east India with a note on comparative studies of other known species.